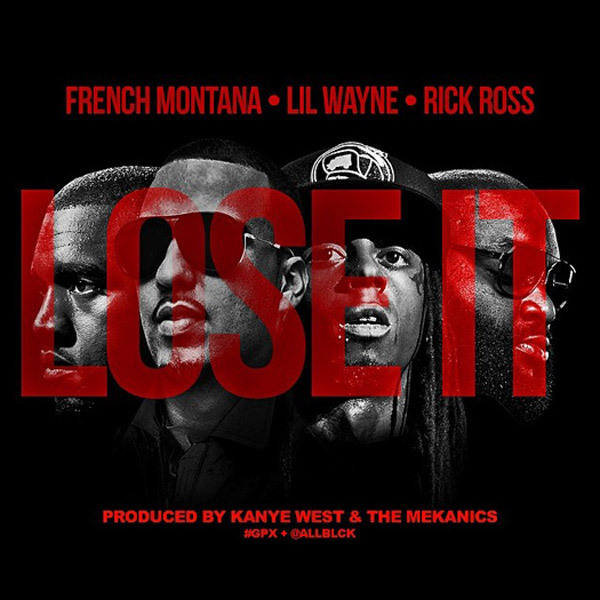 After a few delays, French Montana has debuted his Kanye West and Mekanics-produced single “Lose It” (previously titled “Gucci Mane”). Accompanied by Rick Ross and Lil Wayne, the Bad Boy rapper coins a new catchphrase inspired by Guwop’s Twitter outburst in 2013, where he called out Nicki Minaj, Tyga, and others. “I think I’m ’bout to lose it, mane / Said I’m ’bout to go Gucci Mane,” they rap. French is working with Kanye West on his sophomore album Mac & Cheese, due later this year.